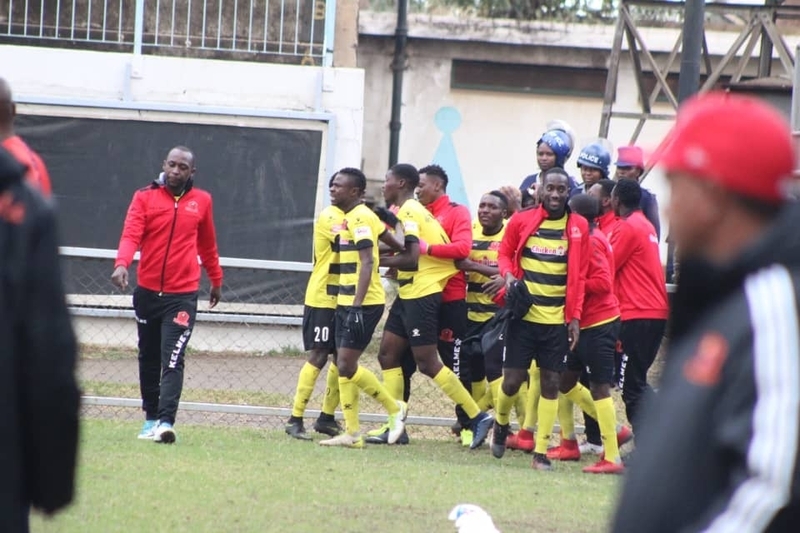 Chicken Inn Football Club have clinched three new sponsorship deals that are set to heavily benefit their players and members of the technical staff. 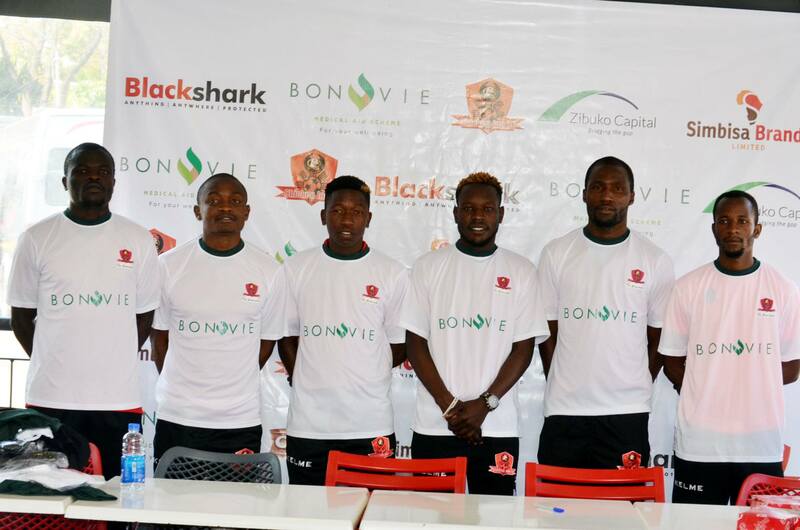 The side which has been largely sponsored by Simbisa Brands since being promoted into the country’s top flight league from 2010 has entered into partnerships with Blackshark Protection Services, Bonvie Medical Aid, Zibuko Capital. The Gamecocks also unveiled their new home and away kits. Chicken Inn unveiled their new home and away kits. – Company to avail $650 for monthly awards. – $1 500 for End of Year awards. – Warm-up T-Shirts plus travelling gear. Inn’s success and peace is in their DNA,” said Blackshart Protect Services business and development director Trevor Takashaya. – Monetary Value of $233 986. – Medical Aid Cover for all the team’s players and members of the technical team. – Bonvile brand gym t-shirts. – Payment of the clubs gym fees. – Third alternative playing kit. – Bovile Medical Aid to fully brand Chicken Inn’s team doctor and physiotherapist. The Gamecocks will use the Bonville Medical Aid branded T-shirts during gym sessions. At the function it was also announced that National Foods Limited and local mobile phone operator Telecel are in talks with the former champions for possible sponsorship deals. 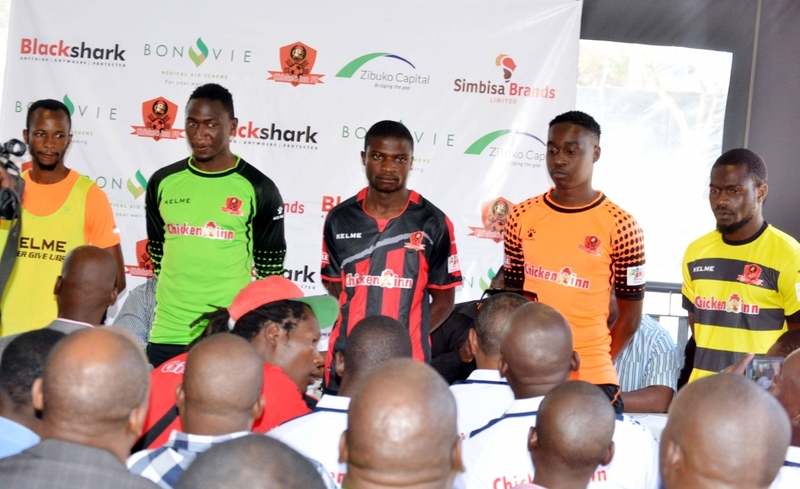 Interestingly, representatives from National Foods and Telecel attended the event where Chicken Inn took some time to parade their players in their new kits, tracksuits, traveling and training kit.